Tracfone offers prepaid plans, which starts as low as $10 per month for 30 minutes. There’re many plans with 90 days of service, these plans represent a real low-cost solution for senior citizens who rarely use their phones. Also, the yearly plans, which start as little as $100 for 450 minutes are good options too. All Tracfone minutes and service days roll over when you add a new airtime card. Below is the Tracfone phone plans list. Tracfone offers both flip phones and smartphones. You can get the ZTE Z233 for free when you purchase a plan from Tracfone. This is a reconditioned flip phone that supports 4G LTE speeds. It has a 2.8 inch screen and comes with front-facing camera. The phone is hearing aid compatible and supports CDMA technology. Supports up to 32 GB external memory card. 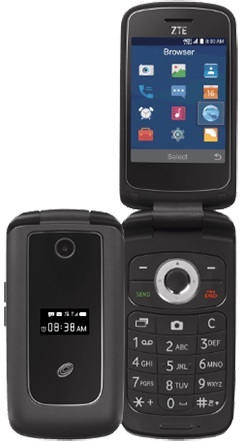 This flip phone you can get it from the Tracfone Wireless store for $20; then you’ve to add one of the prepaid plans. 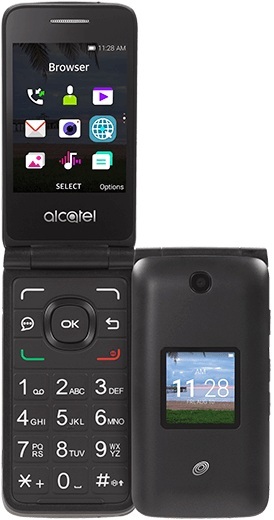 The ALCATEL MYFLIP has the essential features and comes in a compact flip phone design. It also allows you to access to calendar and E-mail at 4G LTE speeds. It has a 2.8 inch screen and comes with 2MP front camera. Preloaded with calendar, web, and E-mail. Tracfone doesn’t offer flag ship smartphones but you can find iPhone devices like the iPhone 7, iPhone 6, iPhone SE, and other mid-range smartphones from Samsung, Motorolla, and LG. For more information you can visit the Tracfone store. If you need a cheap smartphone you can check out the ZTE ZFIVE, which is offered for $15.